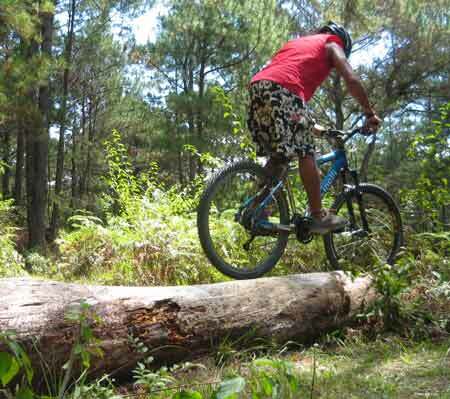 Every once in a while, someone drifts into Sagada with his personal brand of adrenaline. Meet Josh - trials rider and boulder junkie. I guess adrenaline junkies sniff each other out. It wasn't long 'til we hooked up and found common ground. 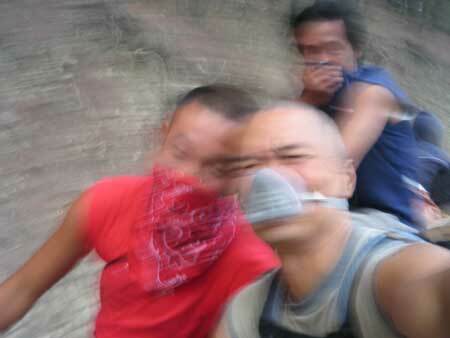 He talked about seeing a series of boulders in Dantay, along the Chico River on his way up Sagada. He asked if I wanted to scout with him on some promising 'projects'. 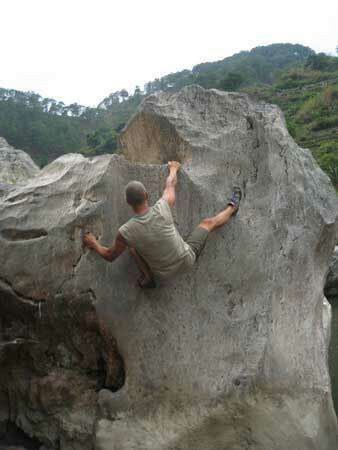 While I've top-roped a few years back, I never really got into bouldering. It was a chance to give it another try. 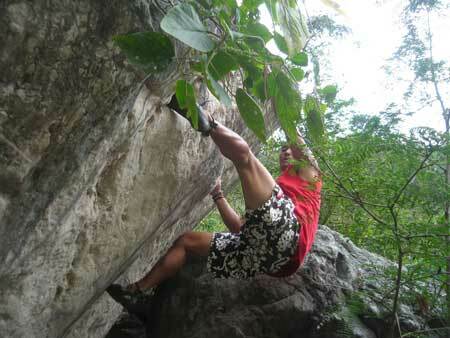 We boarded the bus and kept a look-out on the Chico River at any promising boulder project. We spotted one and got off the bus. Getting to the river bank from the road was a challenge on its own. Without a clear trailhead to follow, we trespassed into different houses, jumping walls until we reached the spot. Josh methodically sized up the boulders, visually mapping his route and testing for rock stability. Getting his bearings, he made a few attempts to scale a few. I was just there, learning by watching, and spotting him, making sure his head is covered if he should slip. 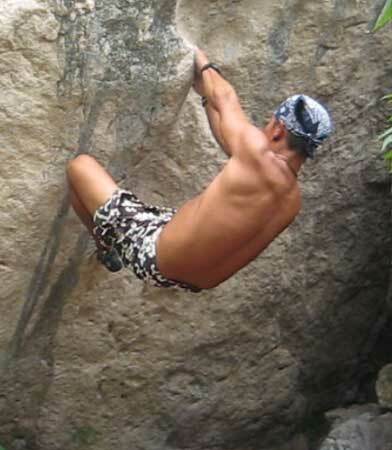 The good climbers all have the signature cat-like grace when negotiating their moves. The movement is poetry, not unlike bamboo swaying with the wind yet holding its own. Josh displayed all that with child-like passion. It was inspiring. Stoked, I tried a couple myself, only to realize my fingers and forearms were toast. 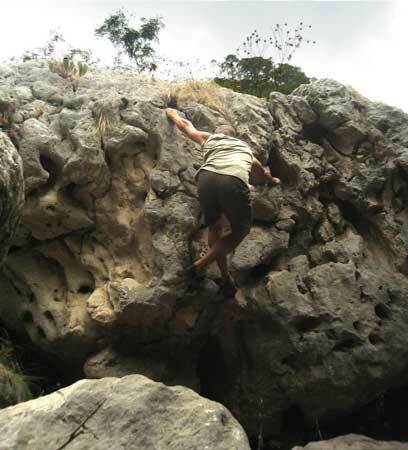 It's been a long while since I climbed and my muscles needed to be retrained. Nonetheless, I helped myself to easy climbs and made the most of the trip. Even with that, I could only do a few. For the most part, I was spotting Josh and feasting to some juicy mangoes. 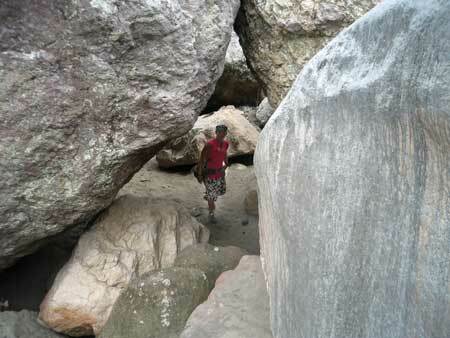 We walked a good length of the river bank, scrutinizing the potential of the boulders. That alone was fun enough. We could only do so much, given the time left. One word to describe the ride back - dusty as hell. We top-loaded ourselves on the jeep and leveraged from our vantage point in scouting more rocks on the river bank. 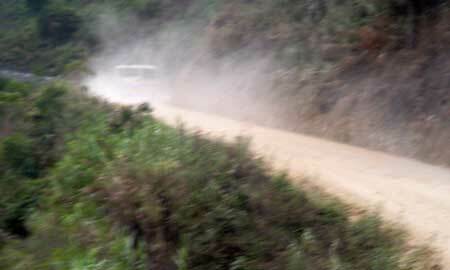 As if the dust issue wasn't bad enough, a bus passed our jeep and stayed in front, kicking all the dust into our faces. We came prepared - masks! No use gettng pissed. We wrote it off as part of the adventure. 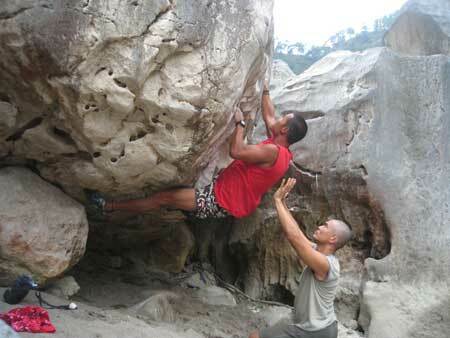 To get the chance to boulder in the Cordillera with an able partner is a treat. It doesn't matter if it was baby steps. We got to start somewhere. Having this experience also brings focus to what's already right under our noses but remaining largely ignored - boulders! 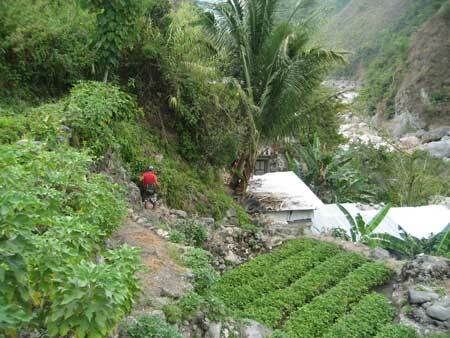 Next time I pass the Chico River, I'll be more aware of the boulders that lay dormant, waiting to be scaled.